VPNArea review 2019: Can this small provider compete with the big guys? 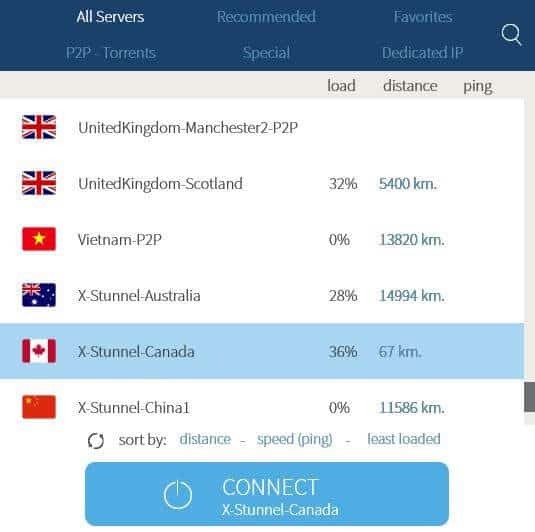 This fast and secure VPN service is ideal for unblocking streaming sites and allows P2P, although the mobile apps and customer support could use some improvement. This Bulgaria-based provider may be relatively small but it has a lot to offer. 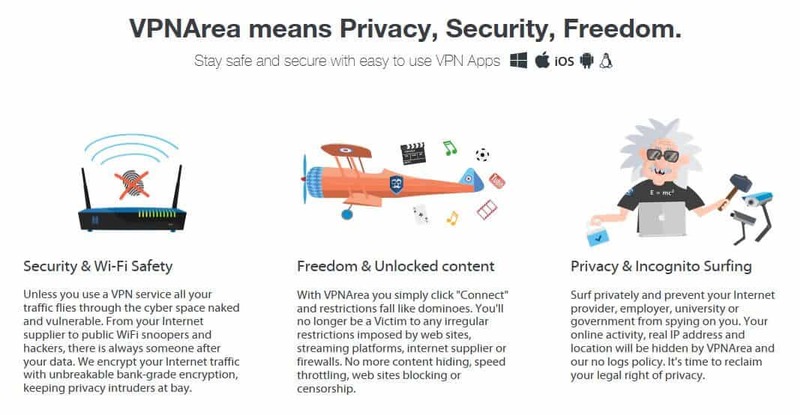 Whether you’re looking to browse, stream, or torrent, VPNArea promises to have you covered. We’ve been testing out this VPN service to find out if it really lives up to its claims of being a fast and secure VPN, and if it’s worth the money. In this review, you’ll find out everything you need to know to help you decide if this is the right VPN for you. 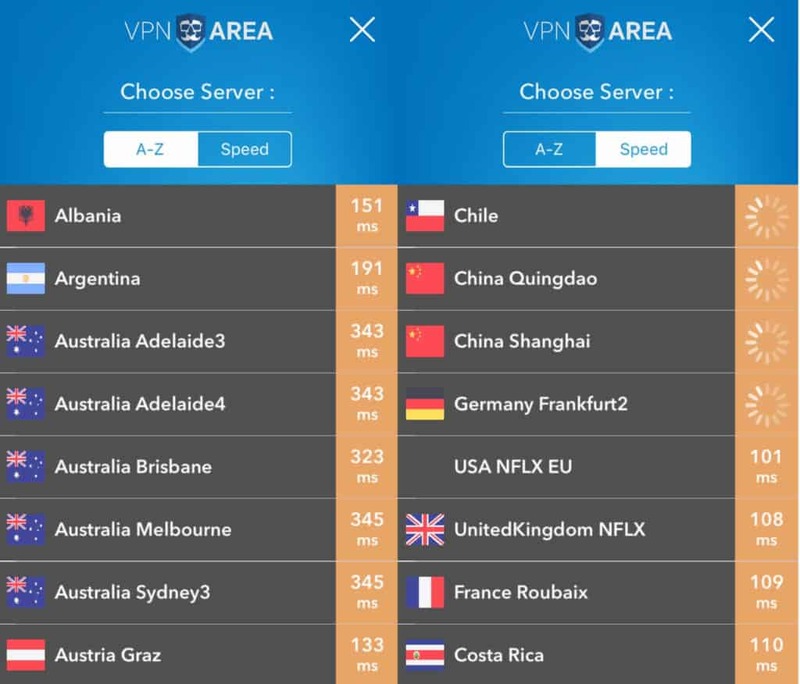 VPNArea plans give you access to more than 200 servers in 69 countries, with some specialized for specific tasks such as double VPN or streaming particular services. This provider offers apps for all the major operating systems, including MacOS, Windows, iOS, and Android. It can also be set up with Linux and some routers, although there isn’t a lot of support documentation available for manual configuration. For router setup, you might consider buying a pre-configured VPNArea router through FlashRouters. A single plan enables you to connect six devices simultaneously, which is one better than the industry standard of five. VPNArea even encourages account sharing, so you don’t have to worry about your account being closed if you decide to share it with friends or family. This provider keeps things simple by offering just one plan, although prices vary depending on the term you sign up for. If you pay on a monthly basis, the price is $9.90 per month which is about average in the industry. 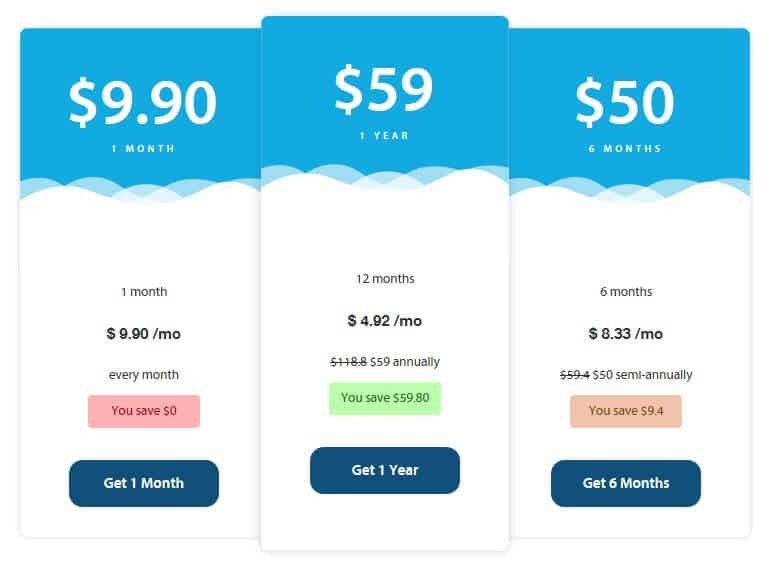 If you pay for six months upfront, the price drops a little to $8.33 per month, a total of $50. But for just $9 extra, you can get a year’s worth of service, which works out to $4.92 per month. This isn’t bad when you compare it to other top-rated providers we’ve reviewed in the past. Although, some do offer longer terms with even steeper discounts, with two- or three-year terms costing as low as $3 per month. When you purchase a plan, you’ll have the option to add a dedicated IP for the same term. There are nine countries to choose from with prices varying depending on location. Prices start at $18 for six months and $20 for a one-year term. Once you’ve chosen your plan, you have a range of payment options, including major credit cards, PayPal, bitcoin, and payment platforms such as AliPay and WebMoney. The ability to pay with cryptocurrency is a plus for privacy-conscious users who would like to sign up as anonymously as possible. Most providers guarantee their service with a promise to return your money if you’re unsatisfied. VPNArea gives you seven days to take advantage of this guarantee, which is pretty tight compared to the 30-day trial periods offered by many competitors. READER DEAL: Sign up for the annual plan and save $59. This comes with a seven-day money back guarantee. VPNArea operates a relatively small network of more than 200 servers spanning almost 70 countries. Although the overall number is small, the number of countries is decent and the list includes locations in Europe, the Americas, Asia, Africa, and Australia/Oceania. There are even server locations in China, which you don’t see too often. You have several options when choosing between servers in the desktop client, and can organize them in terms of favorites, special servers, and more. In the iOS app, you can view them alphabetically or listed in order of speed. We tested out VPNArea servers while performing various everyday tasks. We did some general browsing, streamed HD video, played online games, and downloaded files for speed tests. Overall, the connection was reliable. Switching between servers was mostly painless, although we did have some issues, specifically when trying to connect to geographically distant servers in the UK. The connection attempt would take a long time, to the point (after about a minute) where we would give up and try a different server. We also had problems when trying to connect to US servers within the mobile app. Three were shown to be available, but connection attempts failed after a few seconds. We contacted customer support through live chat but had to be moved to an email conversation. We were eventually able to connect, albeit after having to download two more apps (more on that below). We tested several US and UK servers and were able to browse without any noticeable slowdowns and stream HD video with no buffering. We also played online games without issues on all of the test servers. When we run our speed tests, we try to be as empirical as possible. The tests are run in Toronto and involve downloading a 100MB file from a server in Oregon. We test VPN servers in three different locations (usually in the US West, US East, and UK) at three different times during the day. For every time point, we run a control test with no VPN connection. You can see the results shown in the boxplot below, alongside other VPNs we’ve tested in a similar manner. The median speed for each provider is shown by the line where the light and dark blue boxes meet. Lower is faster. The spread in results is indicated by the overall box size. Smaller means more consistent. As you can see from the plot, VPNArea pegs some great speeds. For geographically close servers in the US, speeds were only about 25% slower than the control. Things did slow down quite a bit for the UK, but this is a common observation, even with top-rated VPNs, and even then, the speeds weren’t terrible. The relatively small box size means that results are fairly consistent, so you know what you can expect. Does VPNArea unblock Netflix and other popular streaming sites? Yes, VPNArea can unblock Netflix and other streaming sites. For streaming, we test various servers for unblocking notoriously strict sites, including Netflix, Amazon Prime Video, and BBC iPlayer. When it comes to Netflix US, you should have no problem accessing content with VPNArea’s desktop client. It marks specific servers for certain streaming platforms, so it’s easy to identify which one to use. In the desktop app, you can go into the Special tab of the servers list and choose from several streaming options, Netflix US being one of them. This worked seamlessly for us, but we also tried a few random US servers and were still able to unblock Netflix with no issues. You’ll notice a Netflix UK server, too, and this one worked to unblock the British Netflix library. Most providers only focus on the US catalog so it’s refreshing to see the British one up there too. We were able to unblock Netflix in the iOS app as well, but only after some lengthy troubleshooting with customer support. Unblocking BBC iPlayer was no issue using the specially marked UK server, and we accessed Amazon Prime Video with all of the regular servers we tested (in the US West, US East, and UK). Does VPNArea work in China? Yes, VPNArea should work in China. We mentioned the “Stunnel” servers earlier, and these are basically stealth servers that obfuscate your traffic so that it can bypass even the strongest firewalls, including the Great Firewall of China. By switching to one of these servers, you should be able to enjoy access to the free web while living or traveling in China. These servers can also be used in other situations where stealth mode is appropriate, such as in schools or offices where network administrators attempt to block VPNs. Note that due to the extra encryption, these servers will be slower than normal, so should only be used if absolutely needed. VPNArea is based in Bulgaria, a country where the government has access to real-time internet activity through internet service providers (ISPs). However, since VPNs fall outside of the data retention rules that must be followed by ISPs, there is no need for concern if the provider has a solid no-logging policy. This means you don’t have to worry about any of your activity being tracked, or any metadata logs that can be tied to your real IP address. What’s more, VPNArea enables you to pay with bitcoin, which is another plus for privacy. This service uses “military-grade” 256-bit AES encryption on the default OpenVPN protocol. This is in conjunction with a SHA256 hash, 4,096-bit RSA keys, and perfect forward secrecy. The other protocol offered is IKEv2 which uses 256-bit encryption, and a SHA512 hash. This one offers a fast and secure alternative to OpenVPN and is often used on mobile devices. Even the strongest encryption doesn’t offer full security if there’s the chance of leaks. Thankfully, VPNArea provides IPv6, DNS, and WebRTC leak protection. These are enabled by default in the desktop version. The company owns its DNS servers which is another plus for privacy. There’s a kill switch in the desktop apps, which will kill the internet connection if the VPN connection happens to drop, preventing any of your information from leaving the encrypted tunnel. It can be toggled on and off in the desktop client, but bear in mind it’s disabled by default. We mentioned the Stunnel (stealth) servers earlier, but there are a couple more additional security features worth mentioning. 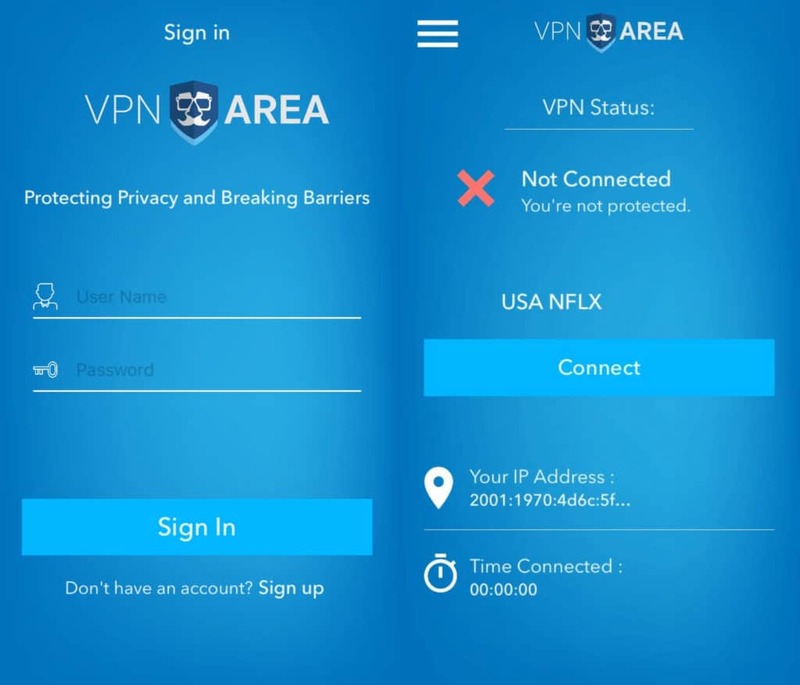 VPNArea offers double VPN, which sends your traffic through two VPN servers, offering an additional layer of privacy. You can also turn on ad and malware blocking using the toggle in the settings screen of the desktop client. Finally, an Auto IP Changer feature (which should be available in the desktop clients) lets you control how often your IP address is changed. However, this feature appeared to be unavailable in the Windows client and so far, customer support has been unable to help us. To get started with the service, once you’ve signed up for an account, you can download the relevant app for your device and install. When you’re logged in, you’ll find the apps easy to use, although a little less polished than those offered by other providers. For the purposes of this review, we’ve been trying out the Windows desktop client and the iOS app. Once you’ve installed and run the Windows client, you can enter your credentials and select the Server List button to be taken to the main screen. Here, you can choose to view various server lists in separate tabs, including All Servers, Recommended, Favorites, P2P Torrents, Special, and Dedicated IP. In all lists, you can see the load on each server, denoted by the percentage next to the server name. While most of the lists are pretty self-explanatory, one notable one is the Special tab. This shows you the servers suitable for specific streaming sites, such as a UK server for unblocking BBC iPlayer, and US and UK servers suitable for watching Netflix. 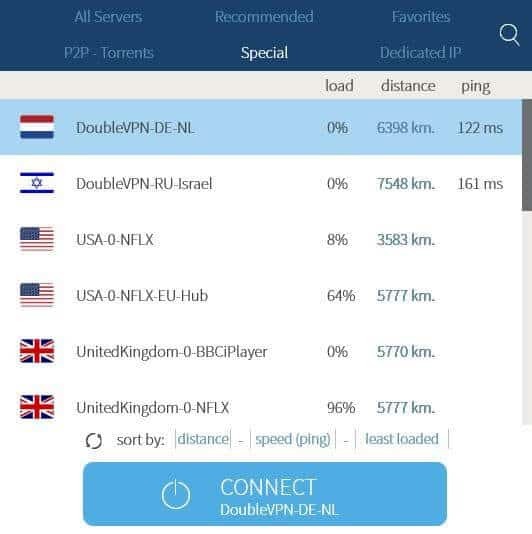 Other special servers include Double VPN and Stunnel. Moving on, by clicking Settings at the bottom of the client, you’ll be taken to a single list of options. You can either scroll down the entire list or navigate to a specific point by using the tabs at the top of the client. This setup is a bit confusing, and is a deviation from what we’re used to seeing in other apps, where there are usually multiple separate tabs. Nonetheless, some users might be happy to see everything in one place so that you don’t have to switch tabs. 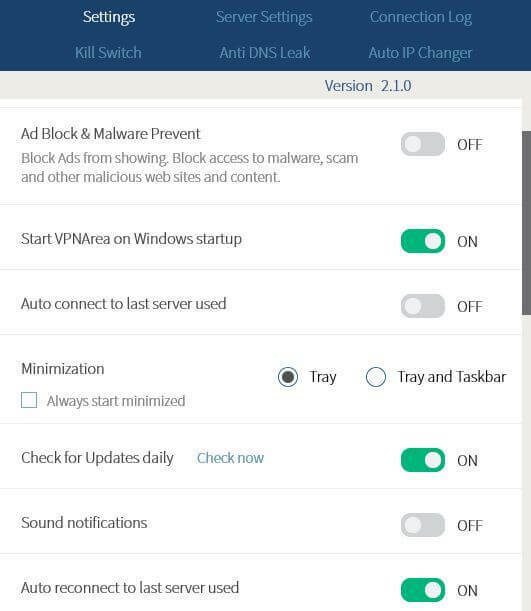 The first setting you see is the Ad Block & Malware Prevent which is off by default. Then you have general settings that enable you to tailor your startup options. These include things like starting up the app when you start your computer and connecting to the last server used. 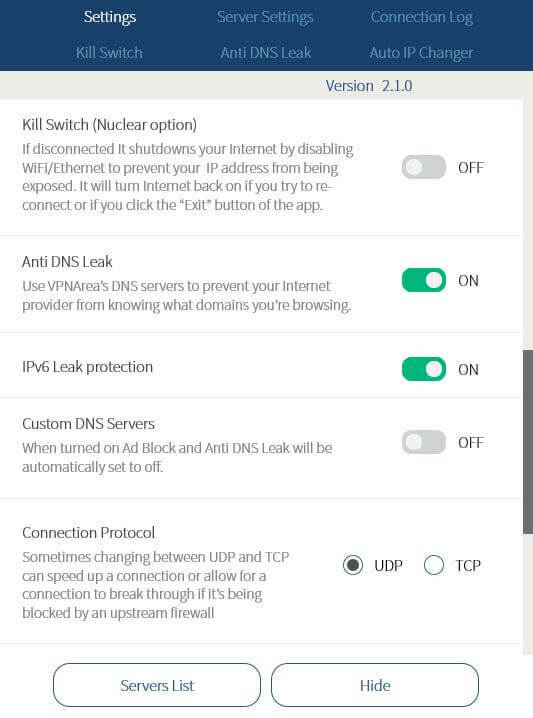 Next, you have some security settings, including the option to adjust the kill switches and DNS and IPv6 leak protection. You’ll notice there are two kill switch options — one uses the Windows firewall to block your internet connection, whereas the other “Nuclear” option disables your internet connection entirely. You can also decide whether to switch your connection protocol from UDP to TCP. This can sometimes help speed up a connection or forge one that’s otherwise being blocked. Another handy feature here that can help with troubleshooting is the option to switch ports. That just about wraps up the main options within this desktop client. As you can see, there is plenty to play around with, although it could be displayed in a more user-friendly manner. There are explanations provided for certain features, which will be helpful for beginners. In the iOS app store, things are a bit confusing as there are two VPNArea apps: one named “VPNArea” and described as a “Productivity” app, and the other named “VPN: Fast & Unlimited VPN Area.” They appear to be basically the same app, although one looks slightly dated compared to the other. We asked customer support which one to use and they confirmed that the latter is the right option, but they couldn’t tell us why there are two. Later, when we ran into issues connecting to a US server, we were referred to a tutorial that used the older app. Following the tutorial, we found that to connect to a server, we also had to install the OpenVPN Connect app and configure each server individually, which isn’t ideal. In short, while the new app was easy to use, there were no US servers available, so we had to use the older, less user-friendly version instead. Moving on, once you log into the app, the main screen will tell you if you’re connected, which server you’re connected to, your IP address, and the session duration. There’s not a whole lot going on in this app except for the server list. When you load the list, a speed test is run for every server. Those numbers indicate the round-trip ping time or, in other words, the amount of time it takes for a single piece of data to travel from your device to the server and back. While this latency test can be useful, it doesn’t actually indicate the amount of bandwidth and download speed you’ll get once connected. This happens each time you open the list, although you don’t have to wait for the tests to be done before you select a server. You can switch to the Speed tab to view servers in order of speed. Within the lists, you will see special streaming servers for accessing content from sites like Netflix and BBC iPlayer, although you can’t view them in their own list as in the desktop client. There is a menu within the app, but there are no actual settings options. All-in-all, this is lackluster compared to the desktop version and some advanced users will miss more options. Plus, in our experience, the latest version of the app had no US servers available, so will be useless to many users. If you need help with the VPNArea service, you have a couple of options. There is a FAQ page, although there aren’t many questions answered here, so you might not find what you’re looking for. We couldn’t find guides or tutorials, which are typical offerings on VPN support pages. They may be available, but if so, they’re not easily located. Response times over email ranged from under an hour to nine hours, so taking into account our response times, as well as a lot of back and forth, it took a long time to troubleshoot the various issues. The customer support was lacking overall, and the live chat could be vastly improved. Similarly, the apps could use a bit of an overhaul as they weren’t the most user-friendly and the mobile version was sparse. Finally, there were some connection issues with certain servers in both the desktop and mobile versions, which could become very frustrating.